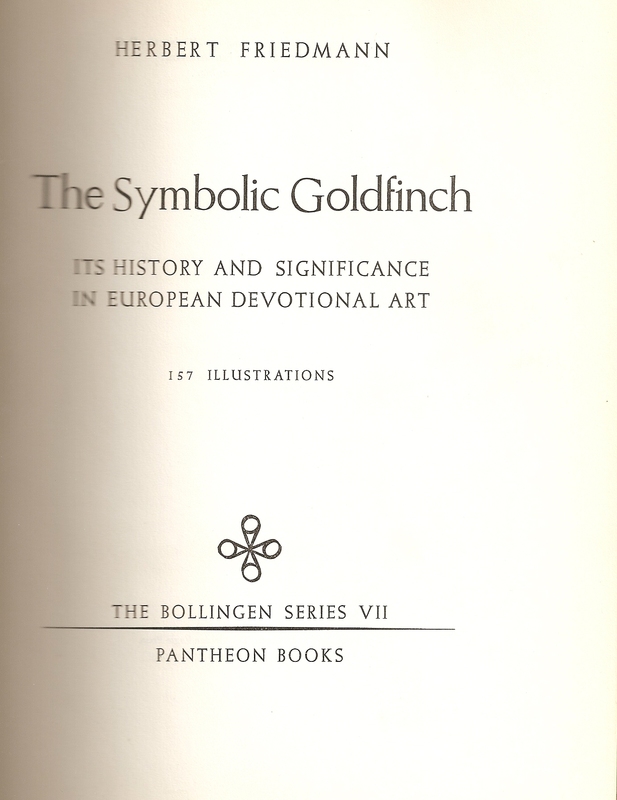 This entry was posted in Animals and Resurrection, Animals and Theological Symbols, History and tagged Animals and Resurrection, Birds and Resurrection, Goldfinch Symbol of Resurrection, Harpsichord and Resurrection, Herbert Friedmann The Symbolic Goldfinch, Symbolic Goldfinch by thecrossisnotenough. Bookmark the permalink. Thanks for commenting. 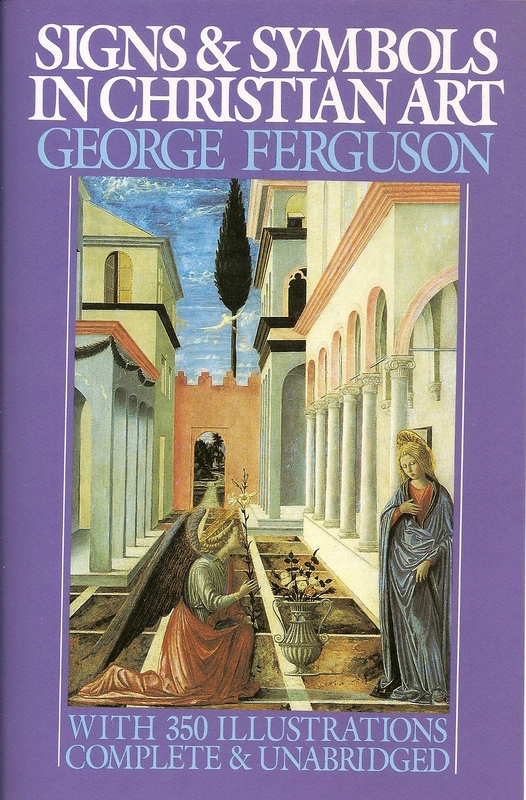 Yes, resurrection symbolism is not the only category, which I noted in my first paragraph and the various symbolic meanings concerning the Passion, Soul etc are also discussed at length in Friedmann’s work. I enjoyed reading this article on the Goldfinch. Today, this bird holds a special place in my heart. I know this is an older blog, but I had been seeing or hearing a lot about goldfinches. During a google search, I came across your piece. What a pleasant surprise! It was confirmation of a promise and a prayer. Thank you for writing this. Recently the morning after a coworker had passed away I had a goldfinch sit on the window ledge of my drivers side door of my truck. He stayed for about 5 minutes. I took photos of him with my cell phone and sent them to my daughters and wife. Then I looked up the meaning of this visit and read about the goldfinches removing the thorns from Jesus’s head and that the sighting meant live life to the fullest. The goldfinch that visited me was a northern one, however it still makes you think about a message being sent. I have never spotted one in the parking lot of my job in 31 years. 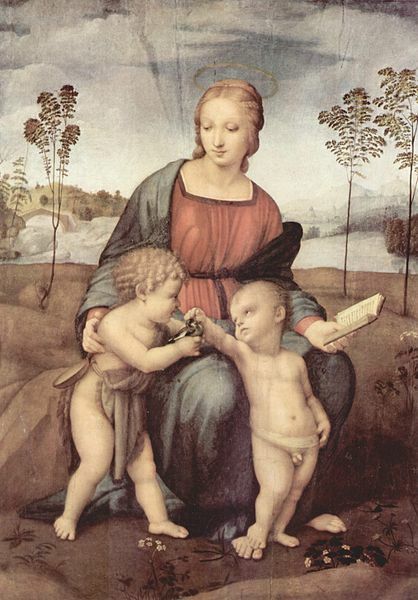 A great article which I so enjoyed reading, especially as I saw some of Michelangelo and Sebastiano’s depictions of the goldfinch today in exactly the context you describe. Would you mind if I re-blogged it on my site, http://www.gordonlthomas.com ? Wow, I have been seeing them around my house, have a figurine of one on my windowsill, and remember writing a report on the Goldfinch when in grade school. After reading your article, and some themes God has been speaking to my heart in private devotional, this is confirmation to me personally. Wow. Thanks again for sharing! 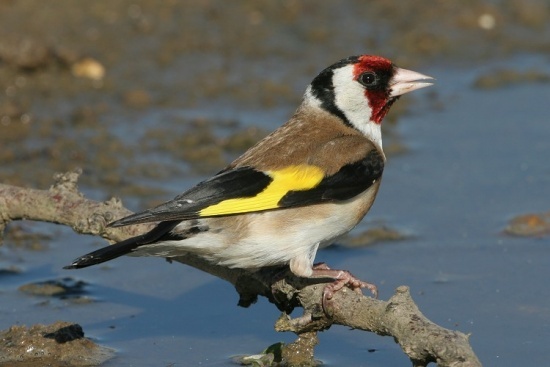 A very interesting blog, especially if you a fond of goldfinches! Lovely Jan and I are and see many in our garden!